Today, we speak with Ryan Hamblin, a senior environmental and sustainability studies major from Hillsborough (Somerset County), NJ, who rents a house off campus. 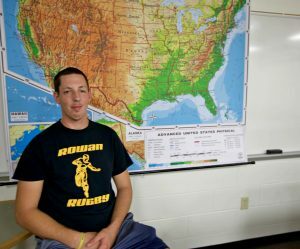 Ryan will share his #PROFspective with us on what it’s like to be a Rowan University student and how he’s getting the most out of his college experience as a Rowan Prof.
Off Campus Resident: Yes, I rent a house off campus. Why did you choose your major? I chose Environmental and Sustainability Studies because I decided my first year here I wanted to find an issue and work toward correcting, refining, or providing a solution. The issue I came across was of waste management, and the creation of waste nationally and globally. My ultimate goal is to redefine how waste and garbage are thought, seen, and handled. With this goal in mind I switched my major from GIS to Environmental and Sustainability studies for its broad coverage of environmental problems and the unique way the professors instruct the students on how to approach such problems. There is strong emphasis on working as a team becaus e there is no environmental issue that can be solved by one person. It requires group collaboration. This issue may not be one greatly known or understood, however I hope to take my experiences here at Rowan and use them to my advantage toward a solution. 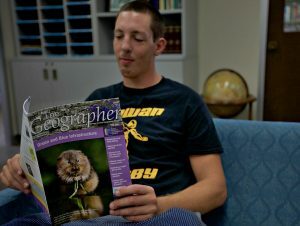 I’m excited to be finishing up this degree and to see where my knowledge learned at Rowan takes me. 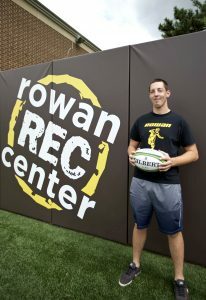 One reason why you chose Rowan? When looking over schools to transfer to after my time at Raritan Valley Community college (RVCC), I originally wanted to go out of state and experience what was outside of New Jersey. After some time searching and finding no avenue to go down which interested me, I decided on Rowan for its relatively proximity and its developing Geography Department. Overall after visiting with the school and meeting the professors I felt as though Rowan was an extension of my previous schooling and atmosphere. 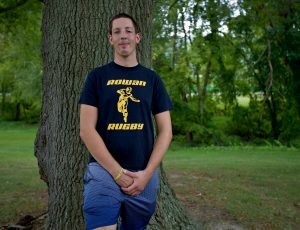 I felt comfortable and welcomed at Rowan and that was one of the major indicators that drew me to this institution. A day in my life is one of different adventures or new meetings. Most days start the same with a morning coffee and a plate of scrambled eggs. Then, it’s me completing work until my classes begin which is not until late afternoon. A vast majority of my time is spent researching and attempting to understand the complexity that is New Jersey’s waste management sector. From reading law text to collaborating with other students on a waste management booklet, my day revolves around waste and how humans view it. When time has passed through the day and the sun starts to set is when I find myself heading over to the intramural field for rugby practice. 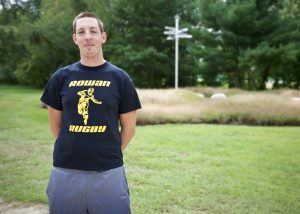 I joined the rugby team last fall after having two seasons under my belt from my high school days. 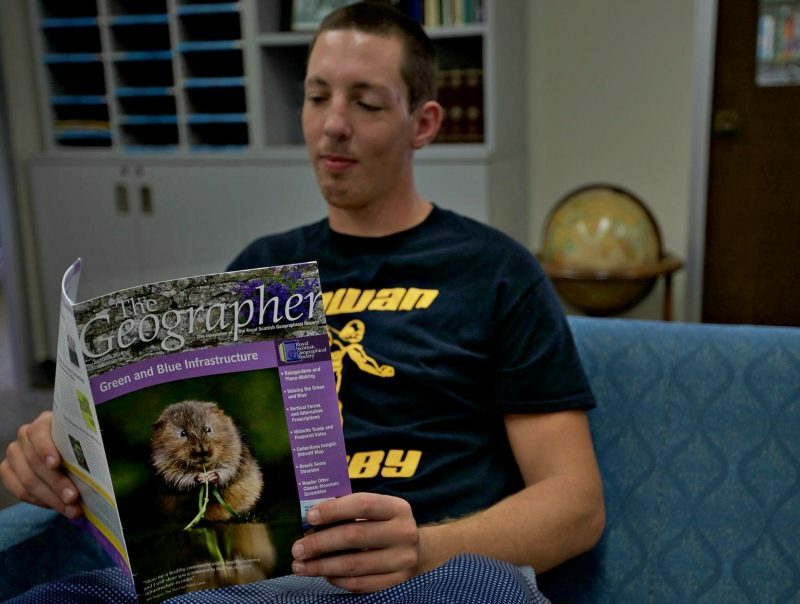 Joining this organization has been the epitome of the college experience here at Rowan so far. From the competitiveness amongst teammates on the field to the brotherhood amongst friends off, I am gracious to be involved with such a driven group of individuals. Outside of classes, rugby, and cooking food for the week, I enjoy spending time with my housemates. There are 10 of us living together so there is never a moment left unfulfilled. Overall my days are filled with class, rugby, and attempting to fit myself into a world already occupied by wonderful, intelligent, awe inspiring individuals. It is my hope to be an inspiration to those that may not see inspiring traits in others.